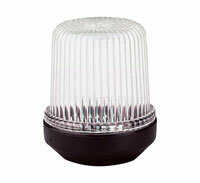 These All Round and/or Anchor Lamps are saltwater proof, anti-magnetic and internationally approved. Available as a single unit for installation directly to horizontal surfaces or on a pole with a plug-in base. UV and impact resistant plastic housing and lens.